The endless pursuit of comedic-destruction is displayed for all to see on the new Mad: Spy vs Spy Boom! T-Shirt. 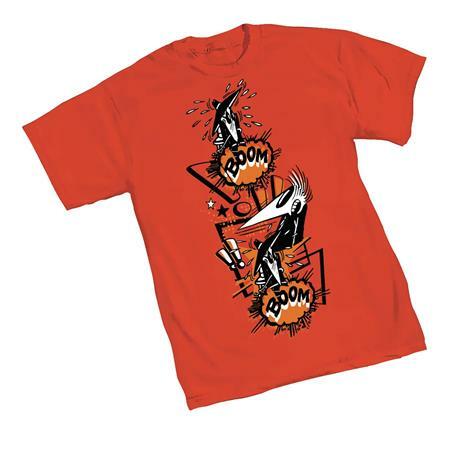 Features classic Mad art screenprinted in color on a orange, 100% cotton tee. When will it end? NOW AVAILABLE for sale in Canada and U.K.